Read the September 21, 2012 LiveRoof? 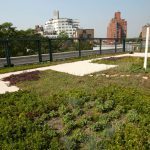 Press Release Green Roof Environmental Literacy Laboratory (GELL) Ready for Students Returning to P.S. 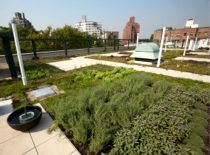 41 in Greenwich Village and learn about LiveRoof in The Greenroof Directory. 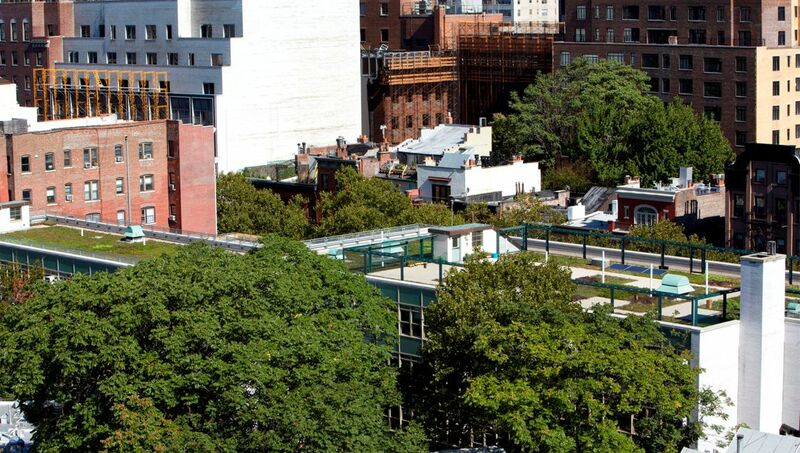 When students returned to PS41 in Greenwich Village for the start of the new 2012 school year, they found a wonderful resource finally ready for them. 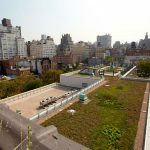 After six years of planning, fundraising, building evaluation and construction, the Greenroof Environmental Literacy Laboratory (GELL) at PS41 has been completed. 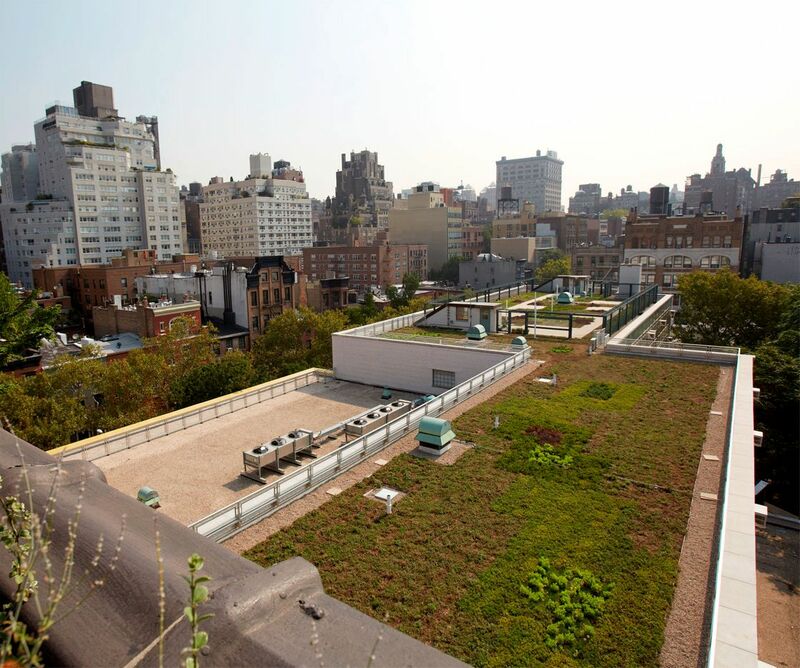 The school?s 9,000-square-foot green roof, the centerpiece of GELL, was installed in August 2012 with the LiveRoof? 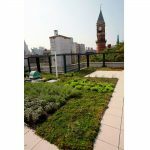 Hybrid Green Roof System (LiveRoof Standard 4.25-inch Modules, 96.5 percent and LiveRoof Deep six-inch Modules, 3.5 percent). 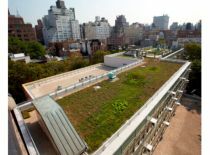 ?The installation of our green roof fulfills PS41?s dream of establishing a living learning laboratory to boost environmental literacy and enable our students to learn about their stewardship role in the health of the planet,? said Vicki Sando, Environmental Science Program Developer at PS41. ?With GELL, we enhance hands-on educational opportunities for our students on sustainability, environmental stewardship and urban gardening.? 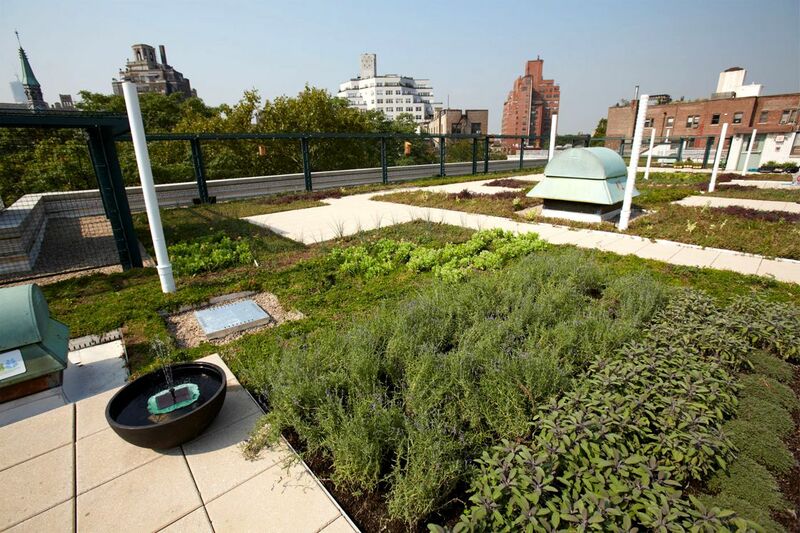 ?The green roof provides important benefits for the community as well as our school. 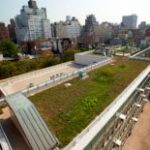 It reduces stormwater runoff, moderates the heat that builds up in urban areas, decreases the school?s carbon footprint, and helps improve local air quality,? said Kelly Shannon, Principal, PS41. ?It also shades and insulates the roof and lowers the interior sound level as well.? PS41 is a K-5 grammar school that serves about 800 students. 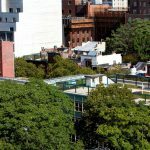 Located at 116 West 11th Street in Greenwich Village, PS41 is at the heart of one of New York City?s high-density neighborhoods with little open space. 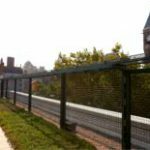 GELL?s 15,000-square-foot observational learning environment (set back six feet from the roof?s perimeter and protected by a fence) provides much needed green space. 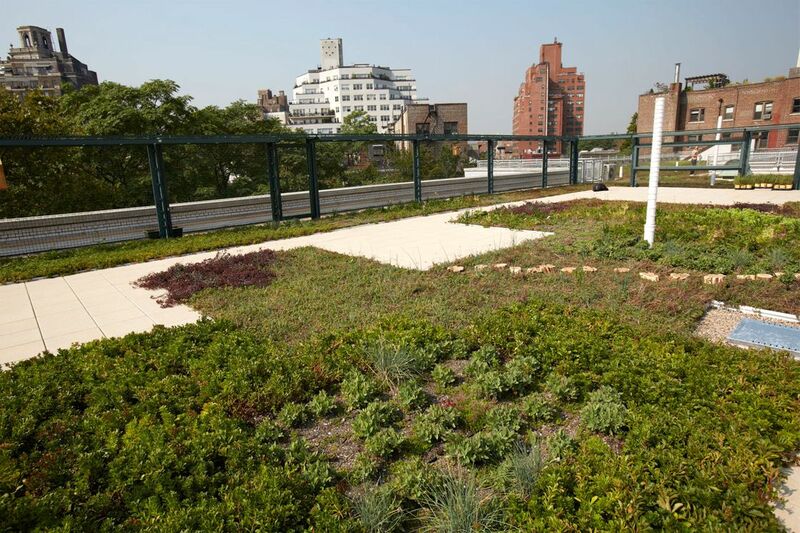 It includes a central outdoor classroom area and features a 9,000-square-foot green roof ? 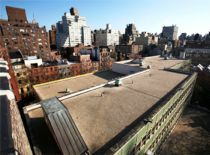 the largest municipal green roof on a New York City public school. In addition to ecological study, GELL is integrated into the curriculum to support lessons in science, mathematics, nutrition, literacy, art, and aesthetics. 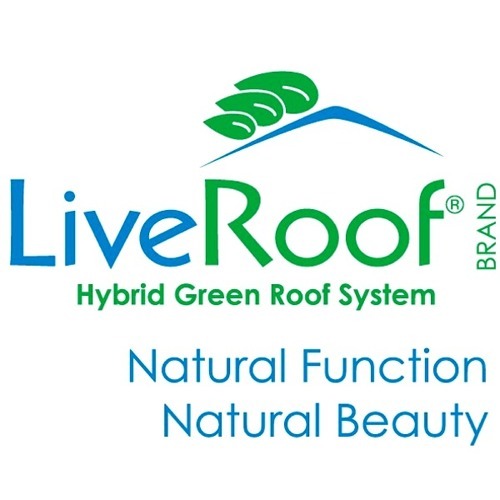 ?LiveRoof is the modular green roof system that creates a naturally functioning ecosystem on the rooftop. 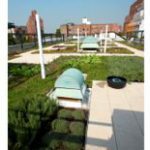 And once set in place, its modules are hidden beneath the plants and soil so that no edges of the modules are visible to disrupt the natural appearance of the green roof,? said Jose Miranda, Associate, Murphy Burnham & Buttrick Architects (New York, NY). 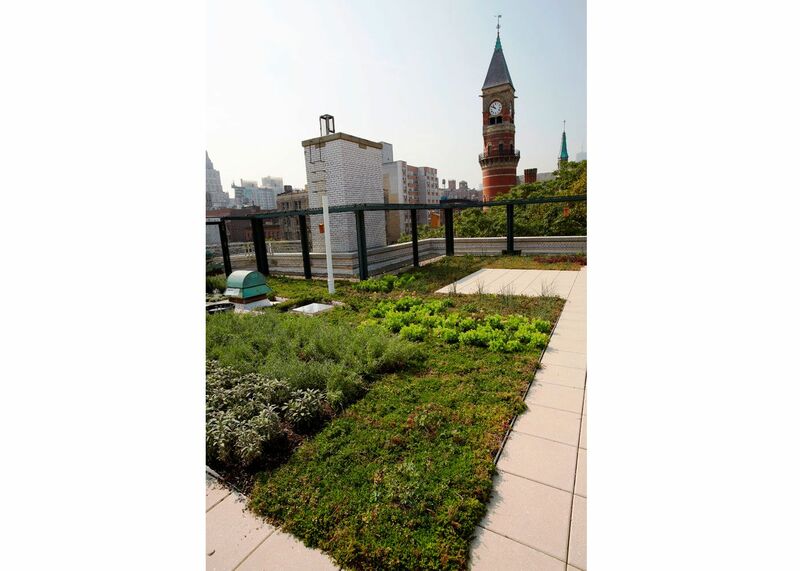 ?Its pre-vegetated modules are installed already dense with full-grown plants to create an instant green roof.? 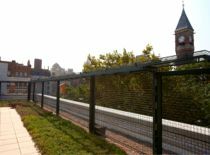 The total project budget for GELL was $1.7 million, including $450,000 for the modular green roof system, the plants, delivery, and installation. 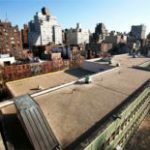 New York City Council Speaker Christine C. Quinn and Manhattan Borough President Scott M. Stringer allocated city capital funding for the project, which also received support from the State of New York as well as corporate and private donations. 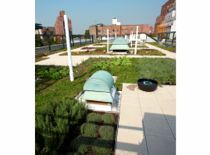 ?I am extremely proud that the Council supported the Greenroof Environmental Literacy Laboratory. 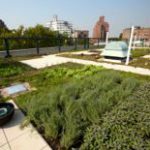 It will enable PS41 students to broaden their understanding of important environmental issues and the steps they can take to help green our city,? said City Council Speaker Quinn. ?I look forward to seeing its effects on PS41 and the surrounding community. It is a wonderful way to raise environmental awareness among the youngest and brightest New Yorkers.? 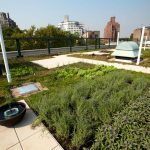 ?The opening of the Greenroof Environmental Literacy Laboratory at PS41 is a landmark event, not just because it is the largest such roof at a New York City public school ? but because it expands our commitment to making environmental study a fixture in classrooms,? said Manhattan Borough President Stringer. ?This laboratory will boost students? knowledge of environmental priorities and also benefit the community by reducing stormwater runoff and the school?s carbon footprint and improving air quality. Just as important, it shows that worthy projects like this can become a reality through community-based advocacy and governmental assistance. I am proud to have helped support the GELL project, and look forward to boosting others like it in the years ahead.? Mechanical, Electrical and Plumbing Engineers: Landmark Facilities Group, Inc. Contractors: KOKO Contracting, Inc. and Ad-Tech Enterprises, LTD.